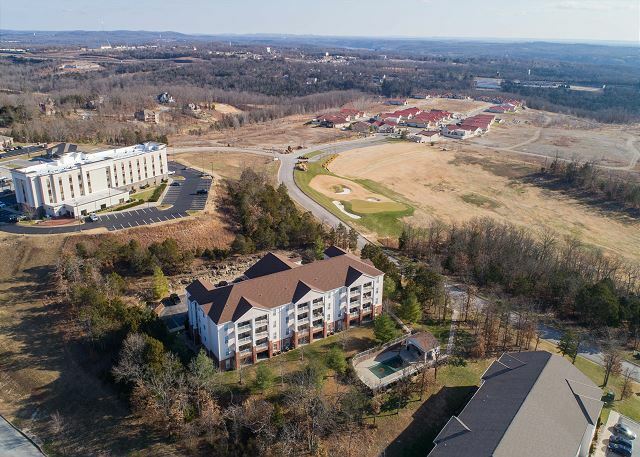 Branson continues to make strides as an amazing vacation destination, and the emphasis on golf is only getting stronger! 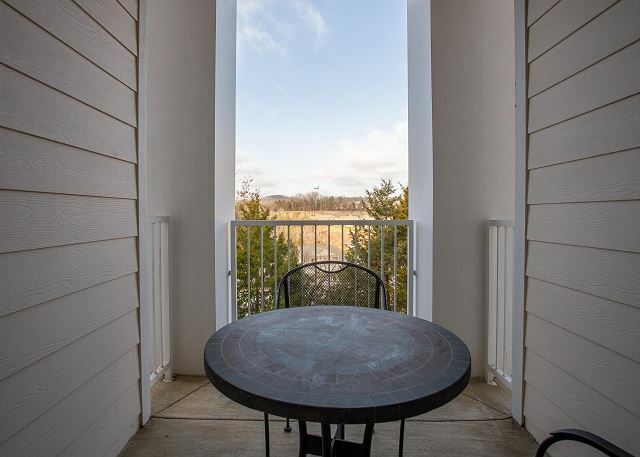 This cozy retreat in Branson Hills is an excellent place for any golfing enthusiast who wants to play some of the best courses of the Ozarks. 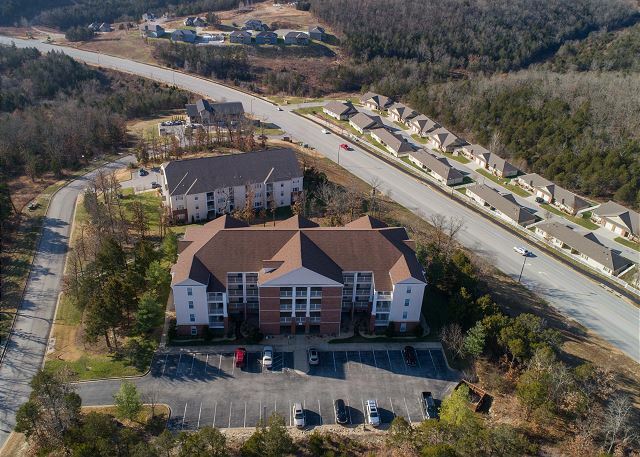 You will be on the same property as the Branson Hills Golf Club, a public course with gorgeous scenery, and only a short drive away from many other places to play. These include Thousand Hills, Ledgestone, and even Buffalo Ridge, a course admired throughout the state of Missouri! Of course, golf isn't the only thing to do in Branson. The Branson Strip is home to several incredible entertainment shows, restaurants, and attractions that anyone can enjoy! Head over to Historic Downtown to pick up a souvenir for the unlucky folks back home, or do some shopping at the Branson Landing. When you're all done, head back to the adorable condo for your R&R. Everything you need is at your fingertips! 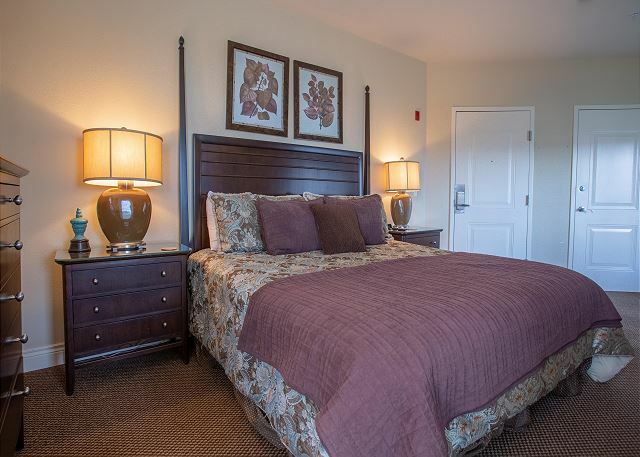 A comfortable King-sized bed is the perfect place to rest your head as you catch up on the news on the flat screen TV. Take a moment to get yourself some freshly brewed coffee, or take a wonderfully relaxing steam in the gorgeous walk-in shower. Get all the rest you need and get ready for another amazing day in Branson! We spent our anniversary weekend in Branson. This studio was so much better than a hotel. It was quiet, clean and had everything we needed. My husband has a service dog to aid in stability and assist him with sitting and standing. The property had plenty of outdoor space to walk him and he was comfortable too. We loved our stay at Caddie Condo! It had everything we needed, was clean and quiet. We have no complaints and would love to stay there again on our next visit to Branson. Our pooch was happy to have a grassy area next to the condo for his morning & evening visits. Only suggestion I could make is to have some doggie bags/trashcan at both ends of the property - I took my own but would be convenient. Thank you so much for this great review, Sandi. The doggie bags are a really good idea! We always appreciate hearing suggestions like that to help us improve. We are really happy to hear that you plan to stay with us again. We can't wait to host you again for your next Branson vacation! We came to relax and shop for Christmas. There was a coffee pot but no coffee. It was basically a hotel room. There was a gap when the door was closed allowing outside light to come through. We will not stay there again. 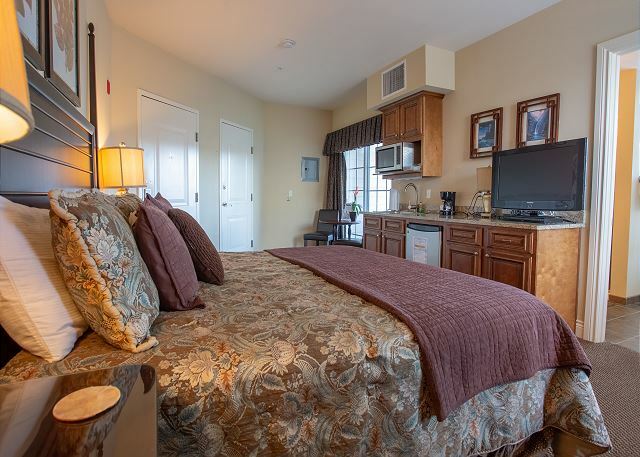 I love staying in the condominium in Branson .there clean and lots of room the caddie condos were very nice the bed was wonderful to sleep on there was some food in the ice box from someone previous Stay I few it out but my sister and really injoyed are stay there wished it had been longer. Thank you Rebecca for the review! We will discuss with housekeeping about food in the frig. We had a fantastic time in Branson. Donna from Sunset Realty was extremely helpful upon our arrival. The condominium we stayed in was large and spacious and had all of the amenities need it for our vacation. The location in Branson was quiet and comfortable. I would highly recommend to stay at this location. Thank you Paul for the kind review. Please call when you head this way again for your special guest discount! Seriously like an apt that someone lives in! Very homey and clean and we couldn’t have been happier! We will definitely be back and will stay here again.